Out of all the Marvel movies throughout Phase One and Phase Two, 2008's The Incredible Hulk has the lowest domestic gross with just $134 million, and it seems to be the most separated from the MCU as a whole, much more than the other films. Instead of bringing back Edward Norton as the Green Goliath, Mark Ruffalo stepped in to take on the role in 2012's Marvel's The Avengers, a character he will reprise in next year's Avengers: Age of Ultron. However, during a recent interview with Crave Online, The Incredible Hulk star Tim Roth, who played Emil Blonsky, a.k.a. 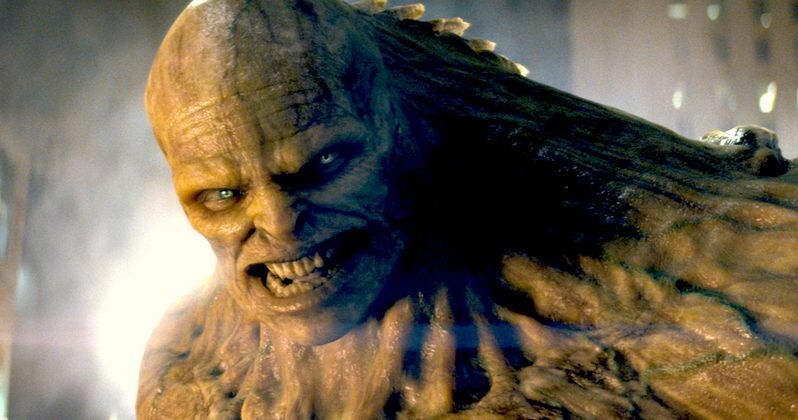 The Abomination, revealed that Marvel did have plans, at one point, to bring back The Abomination in Avengers: Age of Ultron. Take a look at what he had to say below. "They were going to do it. They did do that. They were thinking, in The Avengers 2 or something. There was a movie we could do that at one point, but way back when. It just kind of got swept under the carpet I guess. That would be hilarious." It isn't known how The Abomination may have fit into the story of Avengers: Age of Ultron, but it doesn't seem to be happening now anyway. Would you have liked to see Tim Roth return as The Abomination in Avengers: Age of Ultron? With new characters such as Scarlet Witch (Elizabeth Olsen), Quicksilver (Aaron Taylor-Johnson), Ultron (James Spader) and Baron Von Strucker (Thomas Kretschmann), there likely is very little room for The Abomination. Chime in with your thoughts below.